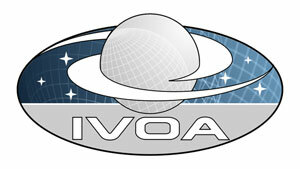 This is an IVOA Working Draft for review by IVOA members and other interested parties. It is a draft document and may be updated, replaced, or obsoleted by other documents at any time. It is inappropriate to use IVOA Working Drafts as reference materials or to cite them as other than "works in progress". The VOResource standard [VOR] provides a means of encoding IVOA Resource Metadata [RM] in XML. VOResource uses XML Schema [schema] define most of the XML syntax rules (while a few of the syntax rules are outside the scope of Schema). VOResource also describes mechanisms for creating extensions to the core VOResource metadata. This allows for the standardization of new metadata for describing specialized kinds of resources in piecemeal way without deprecating the core schema or other extensions. This document defines one such extension referred to as VODataService. The purpose of this extension is to define common XML Schema types--particularly new resource types--that are useful for describing data collections and services that access data. In particular, it allows one to describe the data's coverage: the parts of the sky the data is associated with and the time and frequency ranges that were observed or modeled to create the data. It also allows one to describe tables in detail. In particular, one can describe each of the columns of a table--providing, for example, its name, type, UCD, and textual description. When this metadata is part of a resource description in a registry [VOR], it becomes possible to discover tables that contains particular kinds of data. the extra namespaces associated with VODataService metadata; if STC coverage information is not included, then only the VODataService namespaced is needed. The prefix, vs, is used by convention as the prefix defined for the VODataService schema; however, instance documents may use any prefix of the author's choosing. In applications where common use of prefixes is recommended (such as with the Registry Interface specification [RI]), use of the vs prefix is recommended. Note also that in this document, the vr prefix is used to label, as shorthand, a type or element name that is defined in the VOResource schema, as in vr:Resource. This resource declares the existence of a collection of data, what it represents, and how to get it. The access to the data may be limited to access a human-readable web page (given by content/referenceURL); however, if the constituents of the collection are available statically via a URL (e.g. an FTP URL to a directory containing all the files), that URL can be provided. It can also provide pointers to other IVOA registered services that can be used to access the data. This resource type declares one or more coordinate systems describe using STC [STC] such that each can be assigned a globally unique identifier (based on the IVOA identifier for the resource record itself). This identifier can then be referenced in any other STC description in lieu of a fully described coordinate system. Coordinate system described in this way become reusable standards once they are registered in an IVOA registry. In general, coverage refers to the extent that data samples the measurement range of the sky (space), frequency, and time. The coverage metadata (encoded via the vs:Coverage type) has two parts to it. The first part allows a full STC profile description (via the imported STC element, <stc:STCResourceProfile>). The second part captures key coverage metadata defined in the IVOA Resource Metadata standard [RM]. The RM-derived coverage elements can be considered summarizing metadata for many of the details that may appear within the STC description, and enables simpler searching of high-level coverage information. The detailed STC profile contained within the <stc:STCResourceProfile> element is capable of describing coverage not only in space, time, and frequency but also velocity and redshift. The profile contains up to three types of component descriptions ([STC], section 4.1): coordinate systems, coordinate values, and coordinate areas or ranges. The first component describes the coordinate systems that coordinate values, areas, and regions are referenced to. While any arbitrary system can be described in this first part, it is expected that most VODataService instances will provide a simple pointer to a predefined system in a registered vs:StandardSTC record (using the mechanism summarized in section 3.1.2 below). The coordinate values part will usually be used to describe the coordinate resolution, errors, or typical sizes. The coordinate areas part describes the actual coverage over any of the coordinates. The vs:DataCollection type adds seven additional metadata elements beyond the core VOResource metadata [VO]. Comments: MIME types should be used for network-retrievable, digital data. Non-MIME type values are used for media that cannot be retrieved over the network--e.g. CDROM, poster, slides, video cassette, etc. The vs:DataService resource type is for describing a service that provides access to astronomical data. This service adds to the core VOResource service metadata the ability to associate an observing facility and/or instrument with the data as well as describe the coordinate coverage of data via its child <coverage> element. Note that while these elements are all optional, resource of this type still implies access to astronomical data. The contents of the <coverage> element is detailed in section 3.2. Comments: In general, the format of the qualified name may depend on the on the context; however, when the table is intended to be queryable via ADQL, then the catalog and schema qualifiers are delimited from the table name with dots (.). The vs:ForeignKey type allows one to describe foreign keys in a table that allow it to be joined effectively with another table. A foreign key is a set of columns that map to a corresponding set of columns in another table. A vs:ForeignKey description assumes a "current" table that need not be named. A data type description can be augmented via a common set of vs:DataType attributes, defined below. The arraysize attribute indicates the parameter is an array of values of the named type. It's value describes the shape of the array, and the delim attribute may be used to indicate the delimiter that should appear between elements of an array value. Depending on the application context, these attribute may not be enough to effectively parse the array values, in which case, more information must be brought to bear either through assumptions about a particular derived vs:DataType or through additional attributes. More descriptive information about the type can be provided via the extendedType and extendedSchema, which provide an alternate data type name. It's expected that this name will only be understood by a special subset of applications. The name given in the element content, then, represents a more commonly understood "fall-back" type. Arbitrary information can also be provided via any prefix-qualified, globally defined attribute drawn from an XML Schema other than VODataService (by virtue of the xs:anyAttribute specification shown above). Actual parameters are normally described with types derived from vs:BaseParam. The vs:InputParam is intended for describing an input parameter to a service or function. The allowed data type names (given in the metadata table below) do not imply a size or precise format; rather, it is intended to be sufficient for describing an input paramter to a simple REST-like service or a function in a weakly-typed (e.g. scripting) language. By fixing the <dataType> child element to of the vs:SimpleDataType, the possbile types are restricted to predefined set appropriate for input parameters. A table column's data type is indicated with the <dataType> element with a name drawn from a standard set of names. The vs:TableParam type is not restricted to a single standard set, and the VODataService schema defines two standard sets: one corresponding to VOTable data types [VOTable] and one for Table Access Protocol types. Because the its XML type, vs:TableDataType is abstract, the <dataType> element MUST include an xsi:type attribute to indicate which standard set of type names is being used. The VODataService schema defines two XML types that derive from vs:TableDataType: vs:VOTable and vs:TAP. In general, the vs:TableParam's <dataType> can support any non-abstract type legally derived from vs:TableDataType. However, in the context of a vs:DataCollection or vs:CatalogService resource description, it is strongly recommended either vs:VOTable or vs:TAP (or some other IVOA standard type derived from vs:TableDataType) be used to ensure maximum interoperability. When the actual column type is not well matched to a type from one of these standard sets, authors are encouraged to use the extendedType attribute to refer to a more specific type. Note that the TAP standard [TAP] defines an explicit mapping between TAP_SCHEMA types and VOTable types. Thus, in the context of a vs:CatalogService resource description that supports a TAP capability (perhaps in addition to other catalog services like Simple Cone Search [SCS]), use of the vs:TAP data type is preferred. The motivation for providing two standard data type sets, vs:VOTable and vs:TAP, is to maximize the ease of generating the table description, particular as part of the VO Standard Interface [VOSI] and for legacy services. The table description for "stand-alone" SIA, SCS, and SSA services can be readily generated using the vs:VOTable data types from these interface's respective metadata queries. Newer services supporting TAP could generate its description using its TAP_SCHEMA queries. Tody, Doug and Plante, Ray 1997, Simple Image Access Specification Version 1.0 , IVOA Working Draft, http://www.ivoa.net/Documents/WD/SIA/sia-20040524.html.